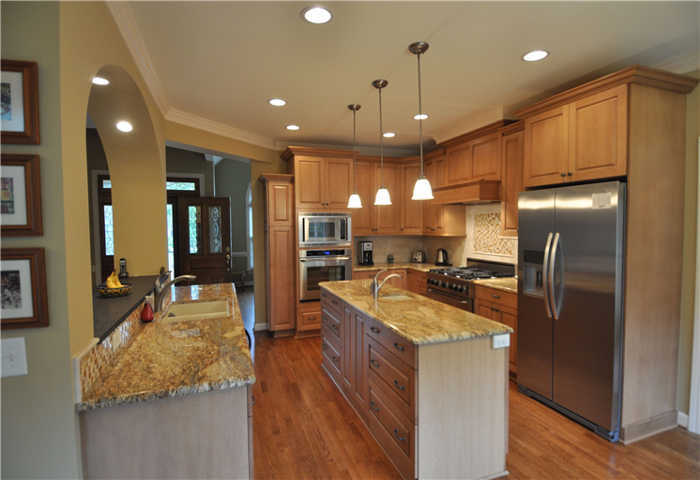 The kitchen is often the centerpiece of a home – a place where families gather for dinner at the end of the day, where they regroup for breakfast in the morning, and where they host guests who stop by for a meal. 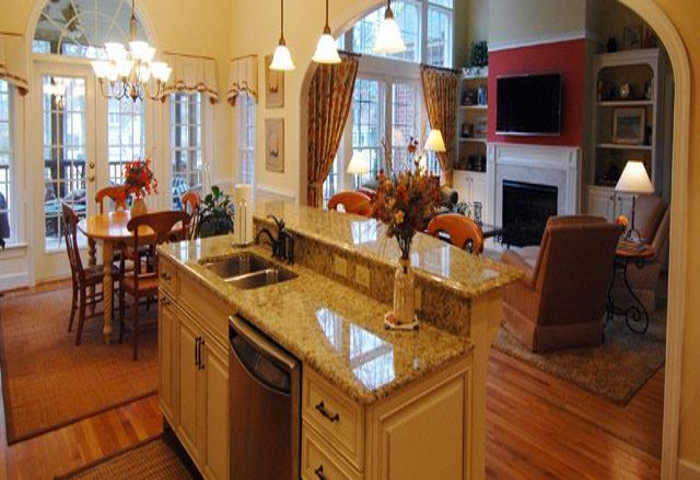 As a prime spot for hosting social gatherings and daily activities, your kitchen should reflect the overall spirit of your home and should be customized to fit your needs and preferences. 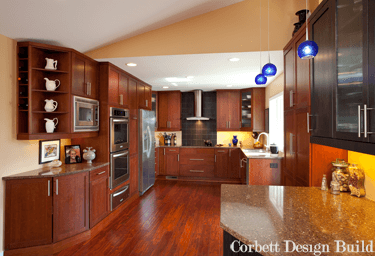 If you are thinking that your current kitchen could use a makeover, let our experts at Corbett Design Build help. 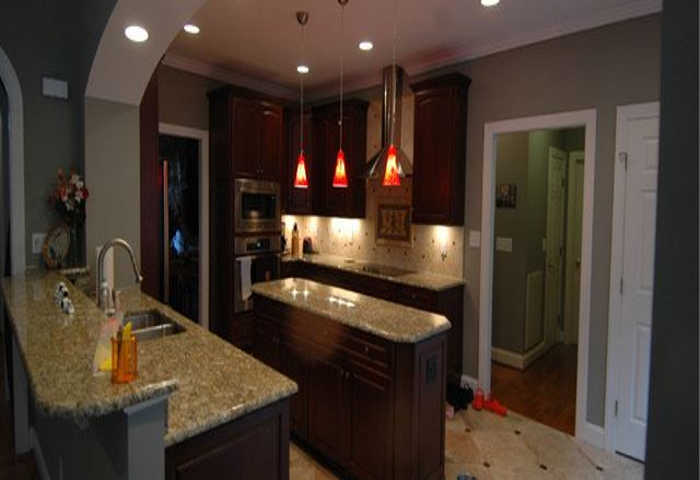 Homeowners throughout Raleigh and surrounding areas call on our renovation team to help them with their complete kitchen remodeling needs. 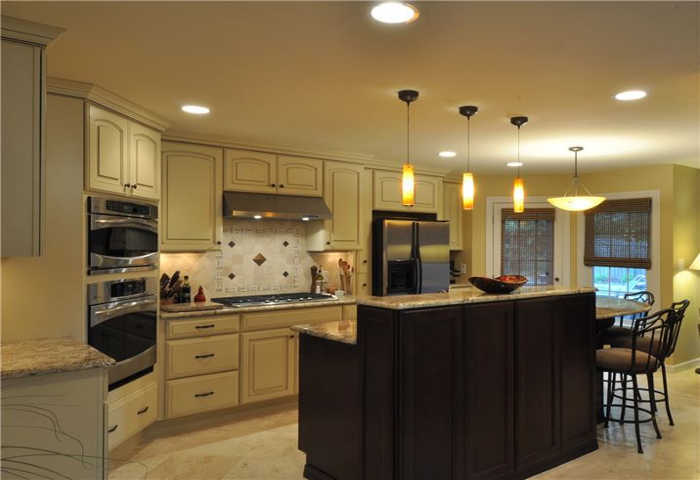 Unlike many contractors, all of our work is 100% custom — we work tirelessly to incorporate your kitchen ideas and overall vision, all while staying on budget. We draft all of our architectural plans in-house using 3D modeling software and build every aspect of our designs. 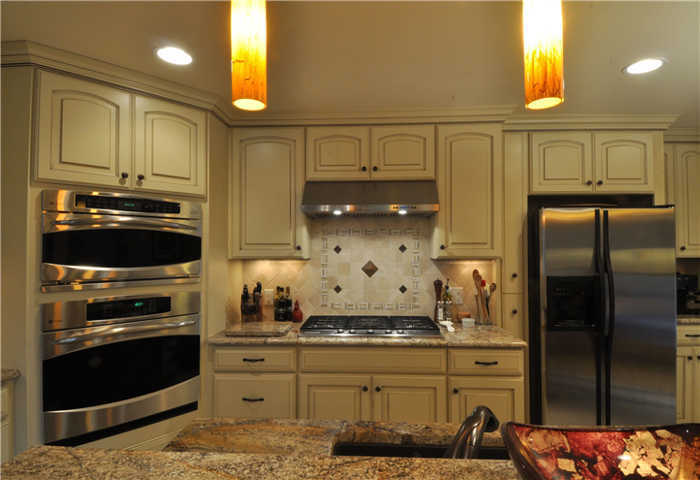 With over 30 years of experience remodeling custom kitchens in just about every style, we’ve got the renovation solutions to fit your needs and your budget. 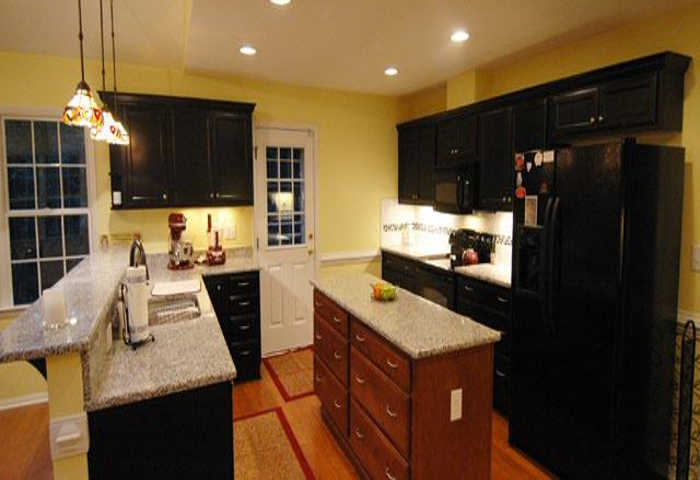 Whether you’re looking to makeover your kitchen or gut it and start over, we have you covered. 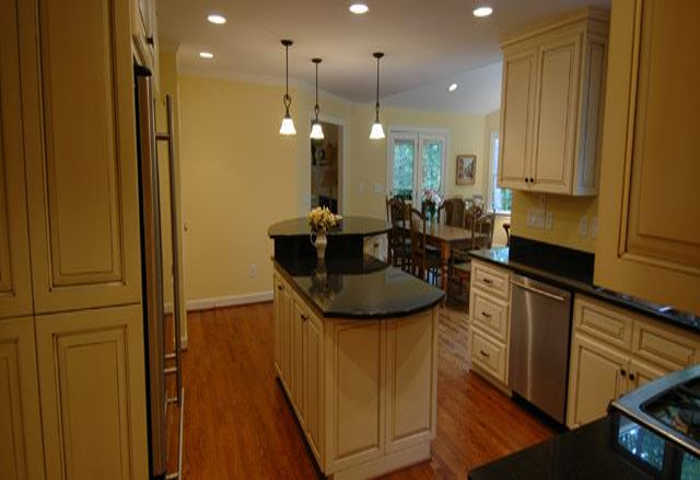 Flooring – We work with a variety of suppliers to bring the best kitchen flooring options to our customers. 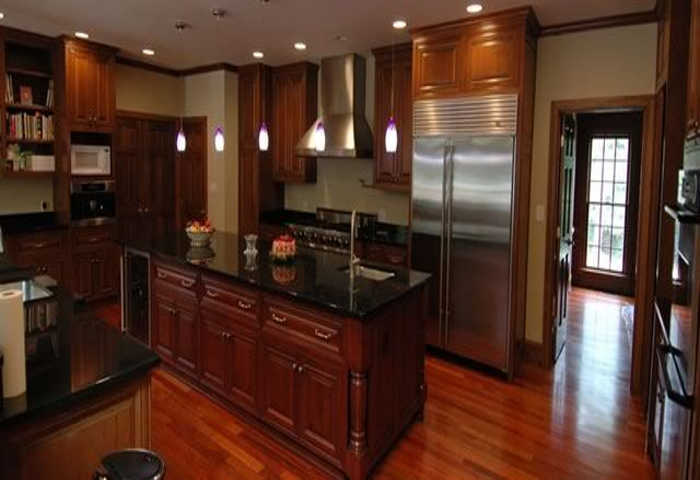 Whether you’re looking for hardwoods, cork floors, stone tiles or something else, we have what you need. 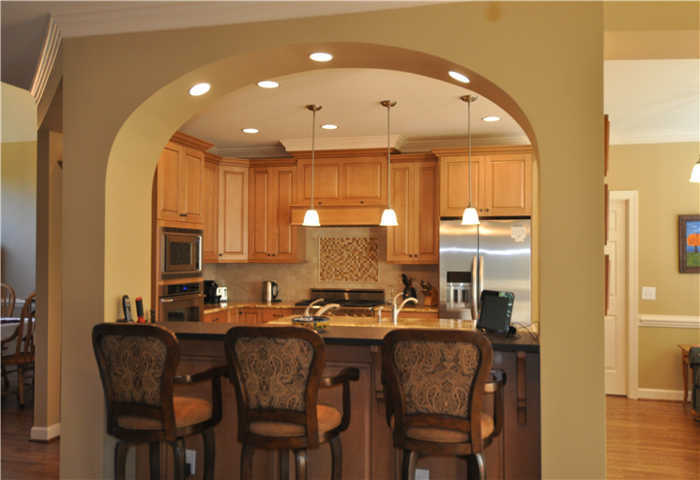 Cabinetry – Cabinet space is crucial to the functionality of any kitchen. 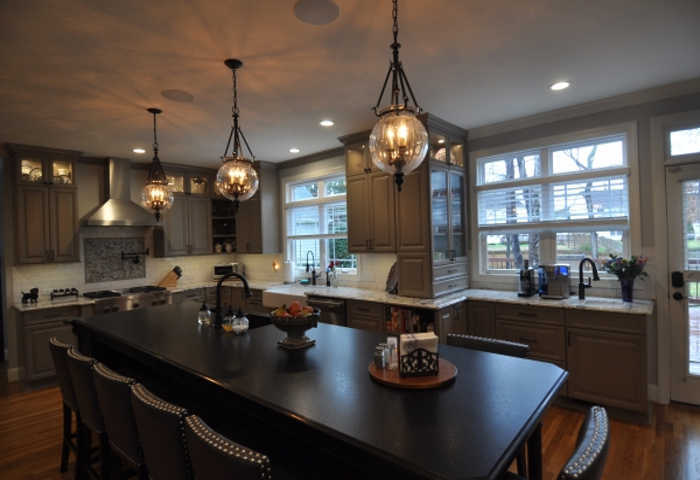 At Corbett Design Build, we partner with Ellen Hinnant of Designing Your Lifestyle. 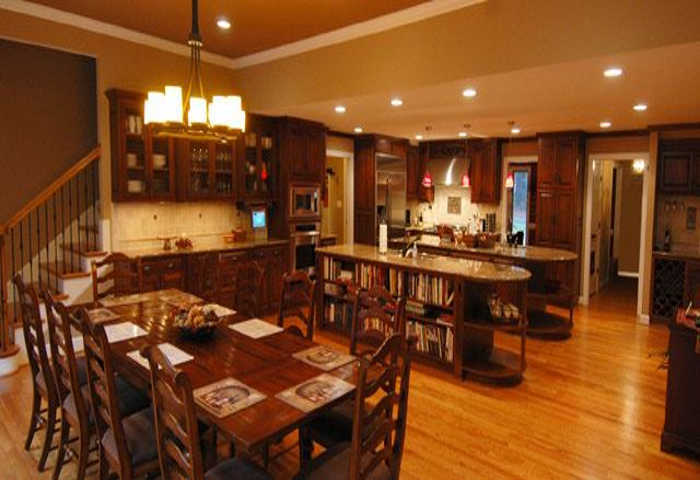 She is an expert designer who specializes in cabinet layouts and space planning. 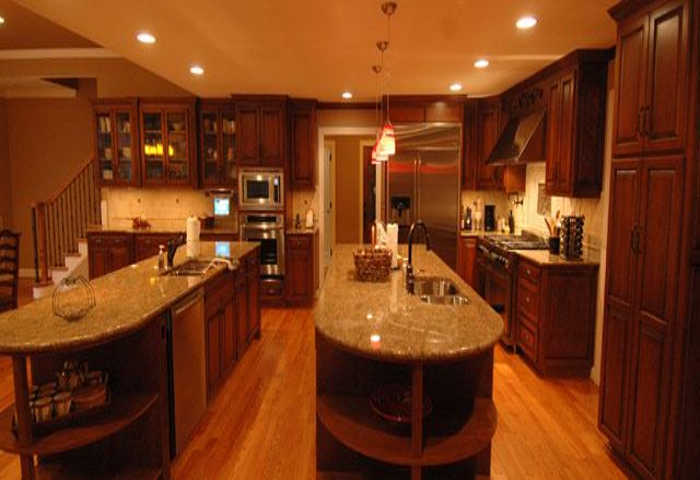 She will come to your home to meet with you to find out how you like to work in your kitchen and will work with you to come up with your customized plan. 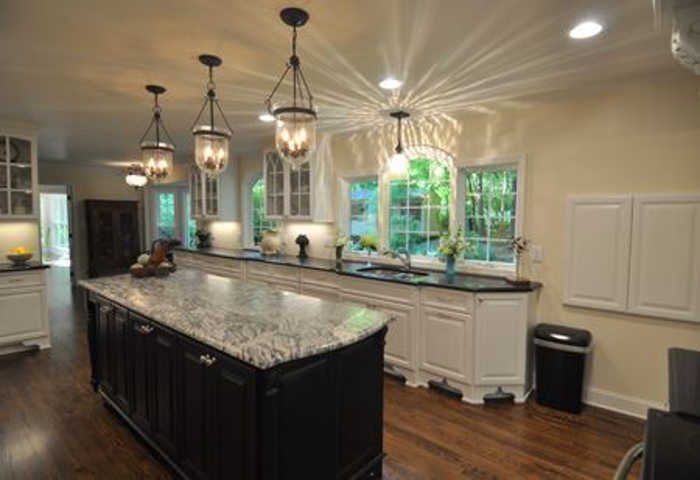 She also will help you to navigate the numerous options by making selections for everything from cabinets, countertops, flooring, lighting and plumbing fixtures. 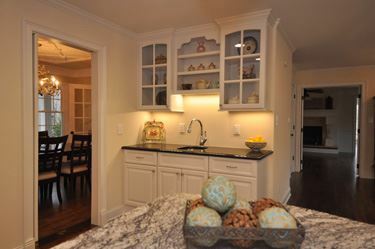 If you are looking for custom to semi-custom cabinetry, we work with the trusted manufacturer Blue Ridge Cabinetry to make your designs a reality. 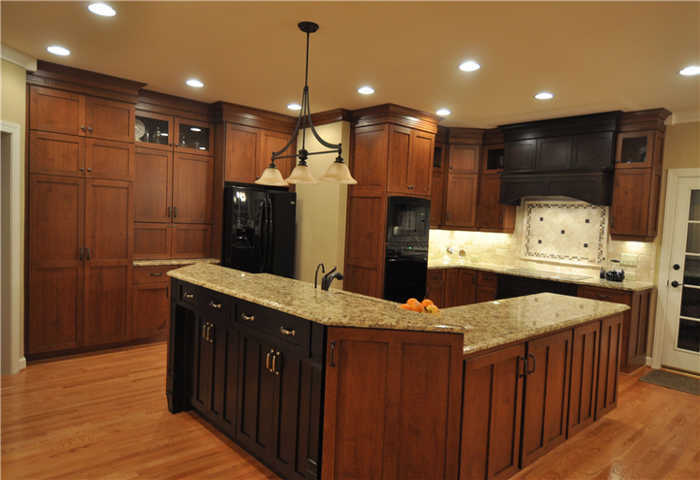 Visit Blue Ridge Cabinetry site. 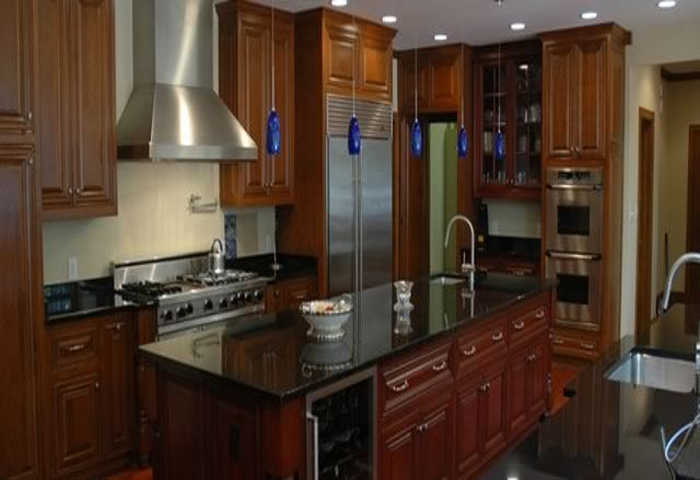 If you are budget-conscious about your cabinets, we offer highly-affordable cabinetry options from our trusted partner, Kitchen Cabinet Distributors. 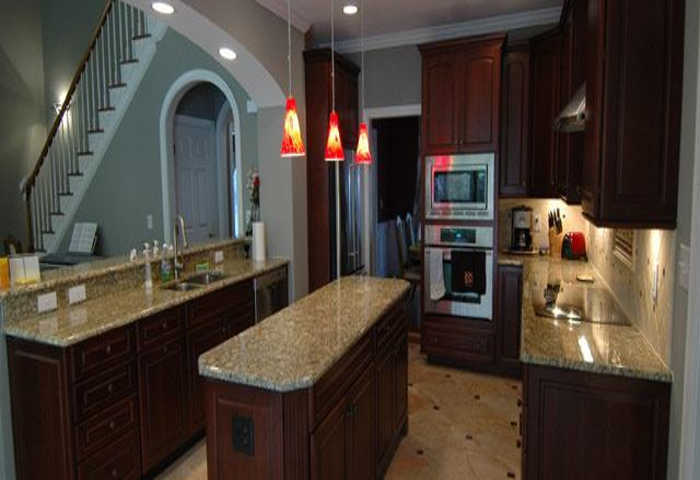 Visit Kitchen Cabinet Distributors site. 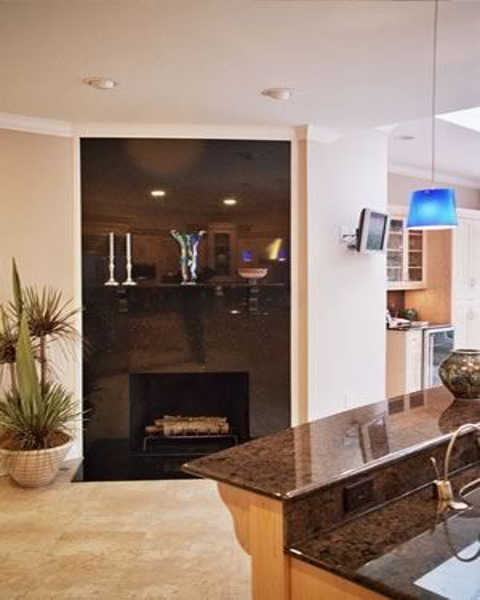 Fireplaces – Warm up your kitchen with a custom-built fireplace. 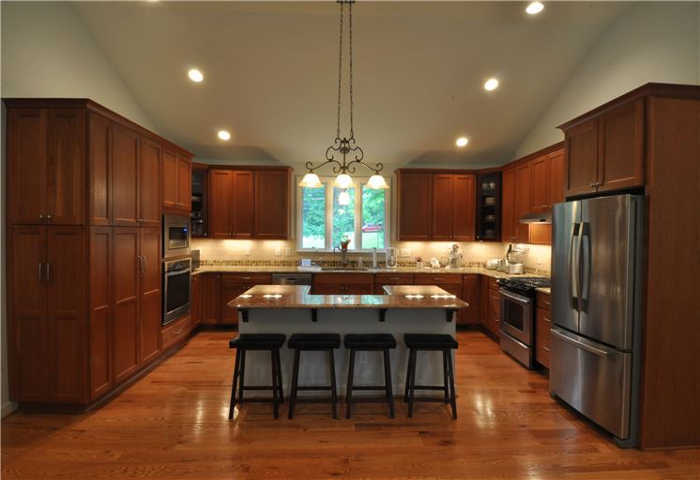 Kitchens are already a natural gathering place and adding a fireplace can make for even cozier gatherings. 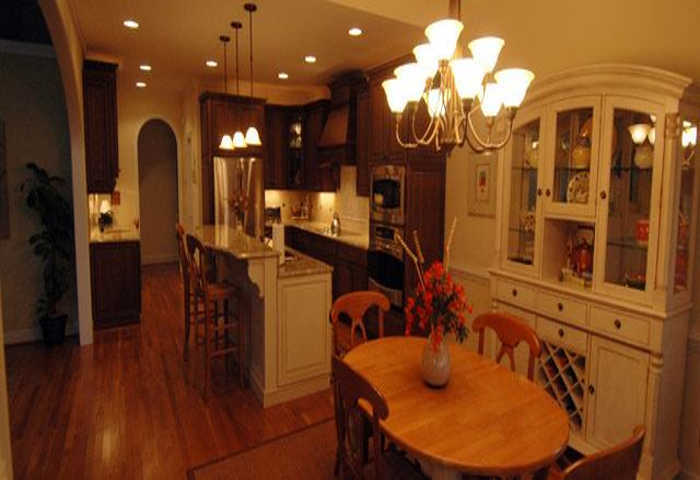 Lighting – No kitchen is complete without the perfect lighting. 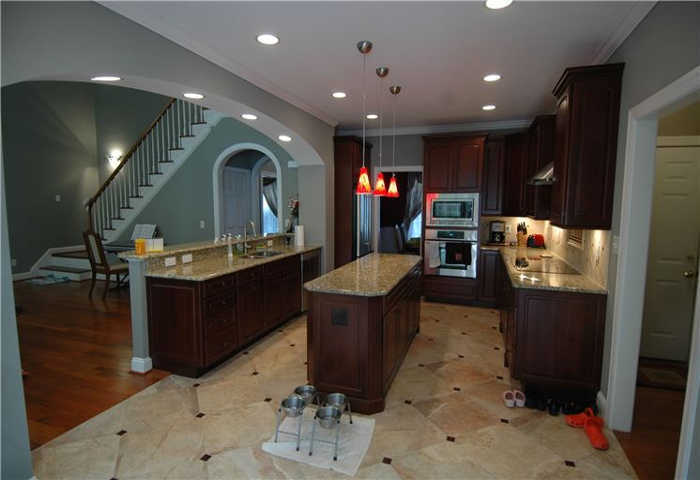 When we said we offered everything from floor to ceiling, we meant it! 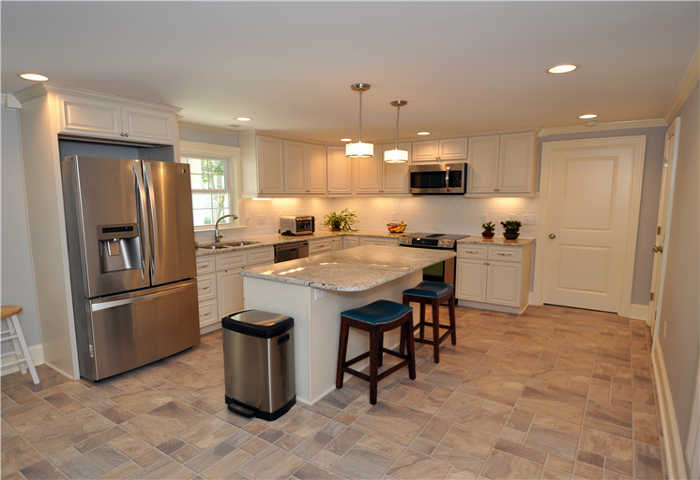 Tile & Stone – Whether you’re looking for kitchen flooring or a gorgeous backsplash, our tiling partners have a wealth of experience to bring your visions to reality. 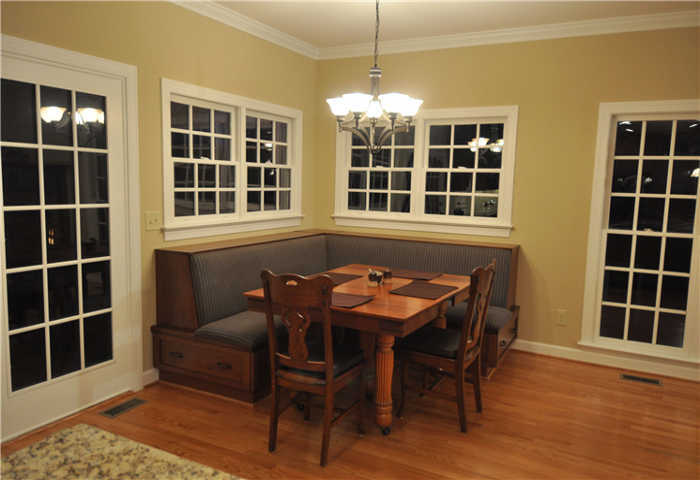 Windows & Doors – Letting light into your home can truly open it up to the wonders of the outside. 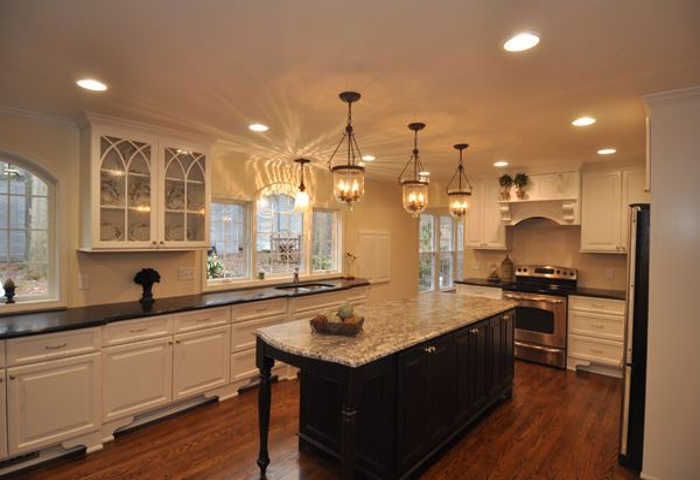 Whether your kitchen is yearning for natural light or you simply need to replace old windows, we have a variety of options for you. 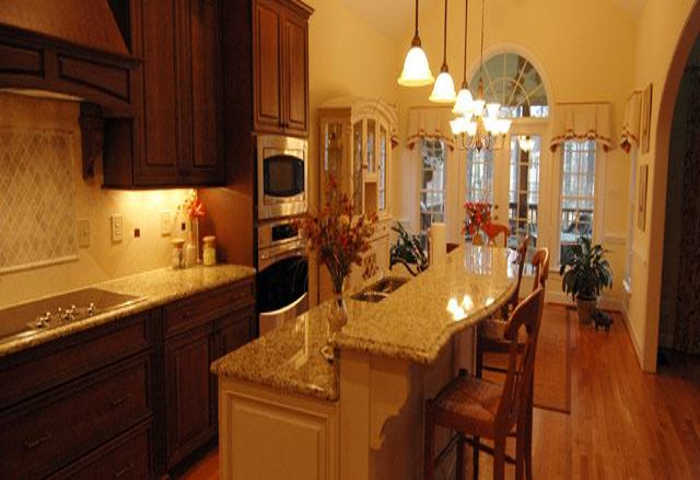 Countertops – Kitchen countertops can truly make a difference in the look and feel of a kitchen. 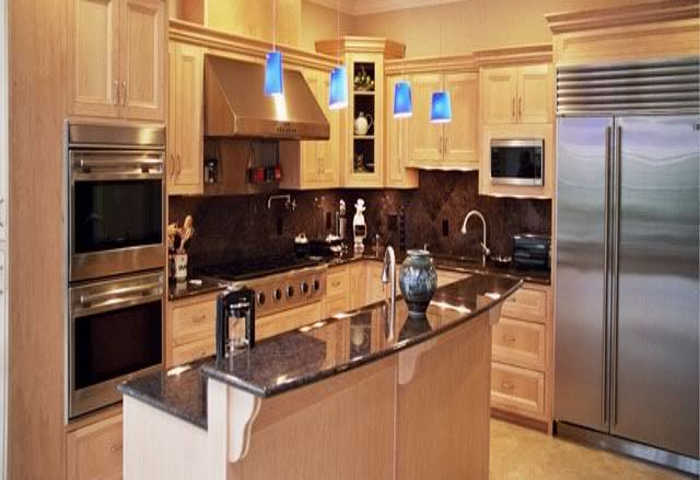 Our kitchen designer will help you to navigate your options, including a trip to the slab warehouses. 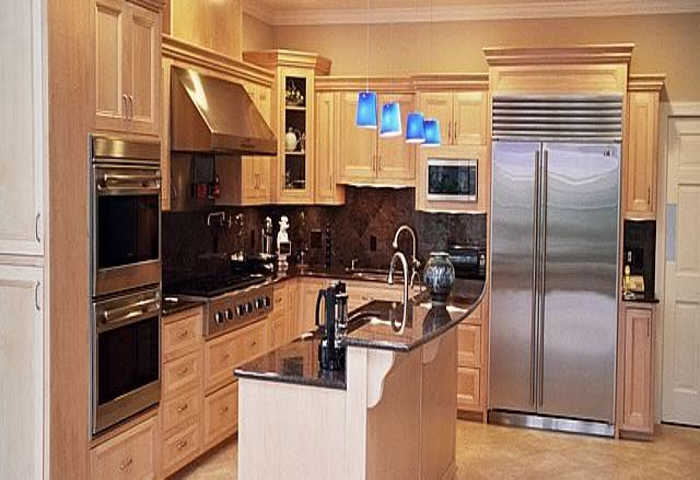 Appliances – Appliances are the heart of every kitchen. 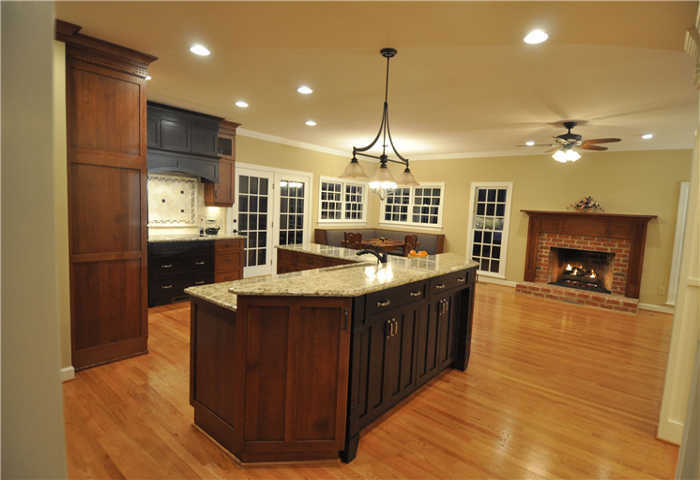 From ovens and stovetops to garbage disposals and more, Corbett Design Build can install it during your kitchen makeover! 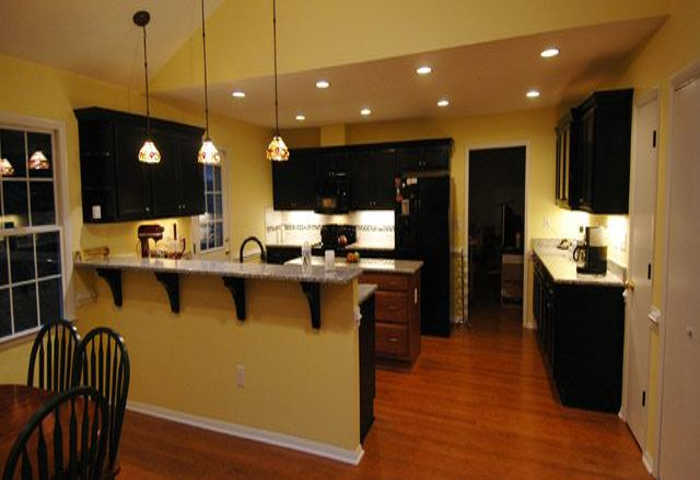 Electrical – At Corbett Design Build we only use the best licensed and insured electricians to ensure that all of your kitchen electrical work is done safely and effectively. 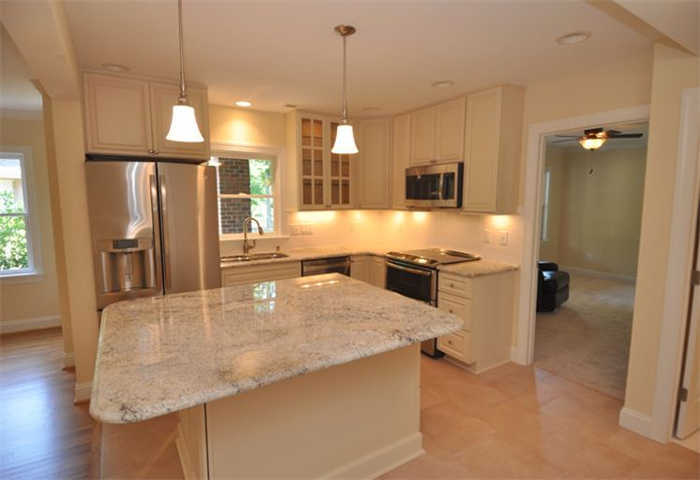 Plumbing – Looking to install a new sink or dishwasher as part of your renovation? Don’t worry, at Corbett Design Build we take care of the plumbing for you using our trusted partners. 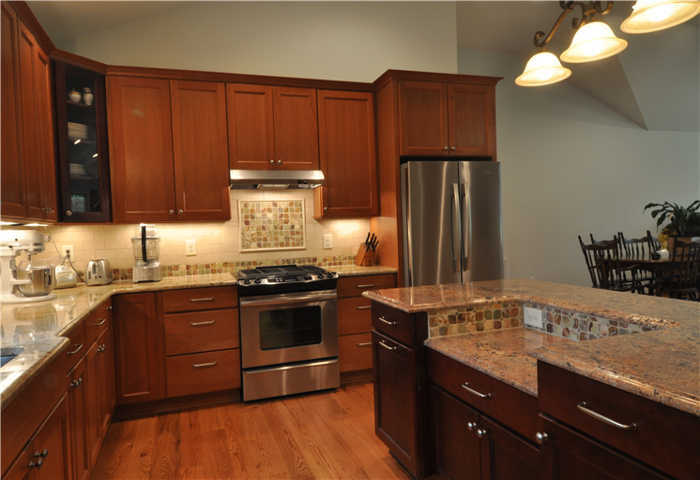 Brick – Brickwork can add a beautiful finish to any part of your home, and the kitchen is no exception. Whether you’re looking for an exposed-brick look or would like to build a brick oven, we can help you meet your end goal. 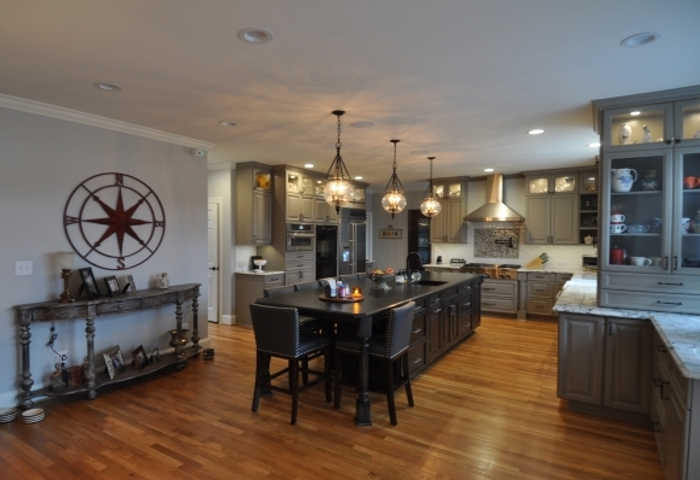 Our expert staff works with our customers in the Raleigh area to customize their kitchen renovation every step of the way, incorporating their kitchen ideas with the utmost attention to detail. 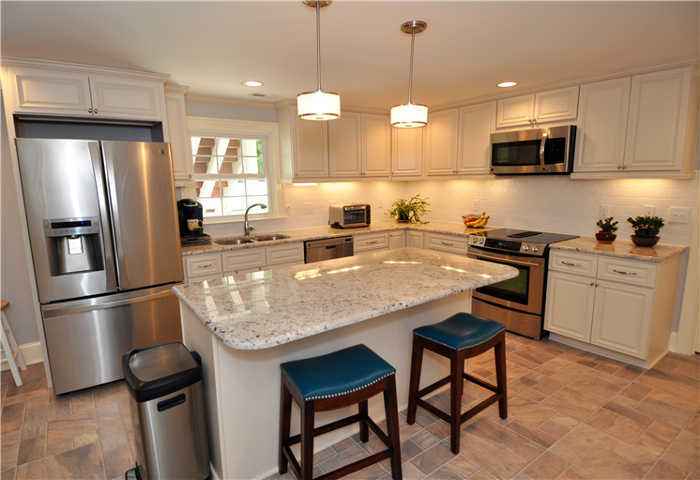 Take a look through our Raleigh Home Renovations Portfolio and find photos to inspire your next home or kitchen renovation.